Kenya's Dennis Kimetto, the world record-holder for the men's marathon, will run his next race in Vienna, the Austrian capital, on Sunday 22 April, 2018. It will be the first time in the history of the Vienna City Marathon, which began back in 1984, that a marathon world record holder is among the elite runners. 34 year-old Dennis Kimetto, who ran 2:02:57 in Berlin 2014, hopes to rekindle his career in Vienna next month. "We need to present top world-class athletes to get more international attention for the Vienna City Marathon. While our motto is '35 years of theatre of emotions’ we now have a sort of leading actor for this: an athlete who has extraordinary capabilities and who will be in the focus. Participants, fans and spectators can look forward to a thrilling race,“ said Race Director Wolfgang Konrad. Britain’s Paula Radcliffe and Ethiopia’s Haile Gebrselassie have already run in Austria’s biggest sporting event. However they competed in the half marathon which is staged parallel to the marathon race. Kimetto will be the first world record holder to run the classic distance in Vienna. “I was able to train without injuries for a good period. I believe in my capabilities and want to show a strong performance in Vienna. If conditions are good then I want to attack the course record. 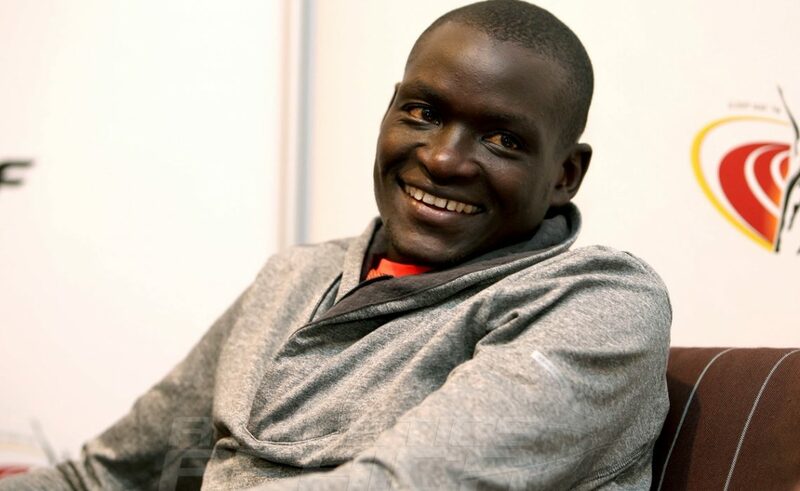 "The most important thing is that after several disappointing races in the last two years I can achieve a good marathon result again,“ said Kimetto, who took the road running scene by storm with three major wins in the spring of 2012. He first won the star-studded Ras Al Khaimah half marathon in the United Arab Emirates, then took the Berlin Half Marathon with 59:14 - a time that remains his personal best - and finally broke the world record in Berlin’s 25K race. His superb time of 1:11:18 still stands as the global record today as does his marathon world record. After a second place debut in Berlin with 2:04:16 in 2012 - the fastest debut marathon on a record eligible course at that time - Kimetto took the Tokyo and the Chicago Marathon a year later. Since September 2014 he holds the marathon world record with 2:02:57. Marathon super stars Eliud Kipchoge, Wilson Kipsang and Kenenisa Bekele all failed to break Kimetto’s mark in the past three years. But the world record holder struggled during this period and could not reproduce his dominant form from the years before. Since spring 2015 Kimetto only finished two marathons. His most notable result was a third place in London in 2015 with 2:05:50. A year later he was ninth in London with 2:11:44. To break the Vienna course record Kimetto would need to run slightly faster than in London three years ago: Ethiopia’s Getu Feleke established the record of 2:05:41 in 2014. “Dennis wants to show something in Vienna. I hope that the final part of his preparations will also go well. He is an athlete of extraordinary quality. After he ran his world record in Berlin physical problems started. I think the race in Berlin took a lot out of his body,“ explained Kimetto’s Dutch manager Gerard van de Veen. The Vienna City Marathon is an IAAF Gold Label Road Race. Entries for the 35th edition of the race are still accepted online. Motunde is one of our top assets as associate editor and social media manager. A hardworking copy editor with an eye for little details.